The Maine Department of Health and Human Services offices on State Street in Augusta are shown on Dec. 1, 2017. 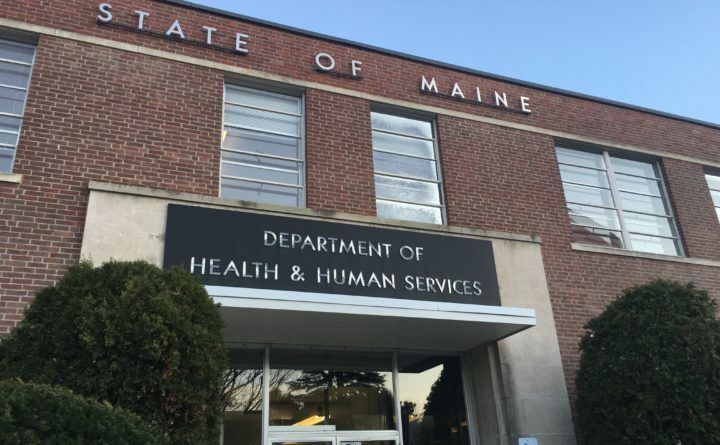 A private consulting firm has been holding town hall-style meetings across the state in recent weeks as it reviews problems with the mental health services that Maine children receive and drafts recommendations for improving them. The LePage administration hired the firm, Public Consulting Group, late last summer at an estimated cost of $213,319 in response to numerous problems, according to a copy of its contract obtained by the Bangor Daily News. The contract names several issues that Boston-based Public Consulting Group is meant to review, including a lack of service providers in rural areas, providers who don’t accept children with certain levels of need, children who must wait for services and families who must pay more as a result of the inefficiency. At one session in Bangor on Thursday, representatives for the firm presented 20 preliminary recommendations for addressing the problems and sought feedback from the 35 or so attendees. The audience included parents, children’s advocates and service providers. Among the draft recommendations were that the state should require comprehensive evaluations of children who need intensive services, that providers in cities should share their knowledge and resources with those in surrounding rural areas, that regional groups should be formed to review difficult cases and that the state should push to address shortages in the health care workforce. One of the more controversial recommendations was that the state consider performance-based contracts for service providers, in which the amount of funding they receive could depend on how well they meet certain standards. One audience member suggested it could lead to providers deliberately not taking clients who are more difficult to treat. Another unfavorably compared that approach to the 2001 No Child Left Behind Act, which sanctioned schools whose students didn’t meet standards in math and reading. But the facilitators from Public Consulting Group, Gabriela Feliu-Markiewicz and Jennifer MacBlane, stressed the recommendations were not final and could be removed or revised before their report is complete, maybe in mid-December. They said they would accept comments after the meeting was over, hung printed versions of the recommendations on the walls and handed out green stickers that attendees could stick on specific recommendations to show their support. They also noted that some agencies already are following the recommended practices but that they’re not being consistently applied across the state. The session was held at Wings for Children and Families, a case management organization on Hammond Street. Public Consulting Group has been doing its review as the mental health services available to Maine children in their homes and communities have dwindled in recent years and a nonprofit advocacy group, Disability Rights Maine, has been pushing the state Department of Health and Human Services to make changes. Hundreds of children with behavior disorders, autism, cognitive impairments and other mental health challenges have been stuck on waitlists to receive services in their communities, while dozens have been sent to out-of-state treatment facilities. The shortage of services has also led to some children who are prone to violent behavior being forced to spend extended periods in emergency rooms and psychiatric hospitals, and other children with mental illness ending up at the state’s youth prison in South Portland. Some mental health specialists have also raised questions about the appropriateness of the services Maine children are receiving. It’s the first such review the state has commissioned since 1997. In September, a representative from Disability Rights Maine said the review would help diagnose the extent of the crisis. Public Consulting Group held a dozen town hall meetings in Portland, Augusta, Bangor and Presque Island from Oct. 29 to Nov. 8. It also planned to hold an online meeting about the recommendations on Friday afternoon. As part of its research, the firm’s representatives have visited sites around Maine, interviewed more than 100 people with experience in the children’s behavioral health system and conducted a survey that received more than 900 responses, they said at the Bangor meeting on Thursday.